We had the honour to do an interview with Don Peppers at a Customer Experience event, organised by SAP Hybris. The event focused on the importance of Customer Experience for businesses and highlighted the solutions and services that SAP Hybris has to offer in this space. This is a write-up of the interview plus an overview of the highlights of his presentation. As Don is quite an eclectic person with a wide range of knowledge and experience, the resulting article here is more a collection of statements and nuggets of insights. Those with more than two decades of marketing experience under their belts have probably heard of Don Peppers. His book, 1:1 marketing, published in the 1994, defined many principles of today’s online marketing best practices, before the internet was even a thing. 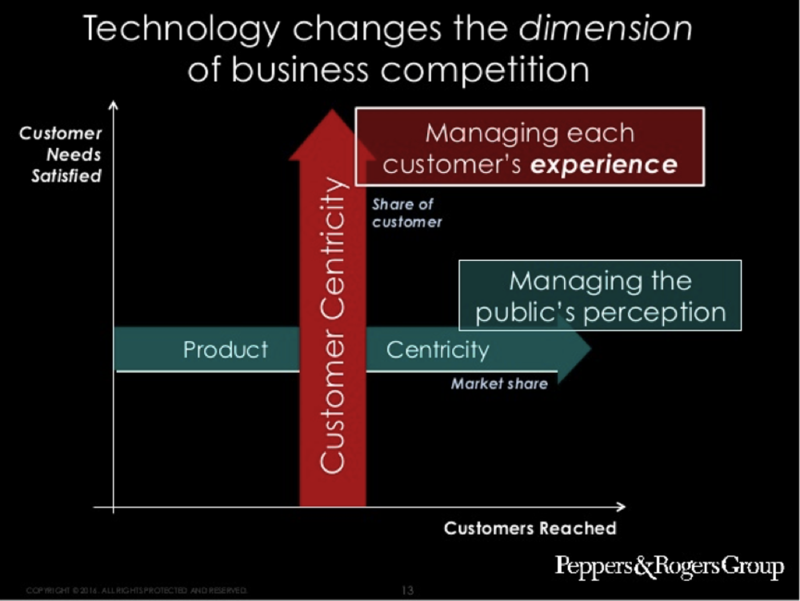 Don Peppers and co-author Martha Rogers, explained why marketing should be about personalisation and building real customer relationships. If you’re a marketer today and you don’t adhere to these principles already, your career is either nearly ending or you work in the mining industry. Sticking with 1:1 marketing doesn’t cut it, Don says with 20:20 hindsight. Today he focuses on the importance of the customer experience for businesses. We started by asking Don’s opinion on how marketing then has evolved and whether he thinks that technology today enables indeed 1:1 marketing as he had predicted before the rise of the internet. Don explains that the concept for 1:1 marketing was nascent at the time. There was a fax company that would send you offers via the fax, based on data they collected via a form. A form you obviously had to send to them by fax. Of course the solution was not very efficient but it is shows that there was already a desire to send direct and personalised messages to customers. Moving forward to today personalisation seems to be the holy grail of marketing. Don explains that we have grown accustomed to receiving personalised messages. However, they fit in a bigger picture about making any interaction with a brand as frictionless as possible. This is what he now evangelises, which is the area of great customer experiences. 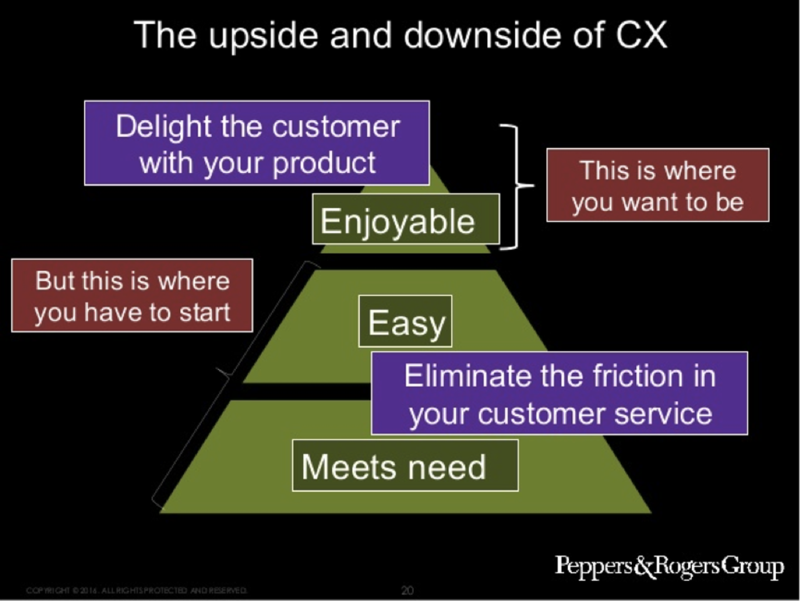 During his keynote, Don explains how CX strategy should be approached. Customer Experience is in many cases still a hidden source of revenue he says. But there are many areas where you can reduce customer effort and increase business revenue as a result. He says that customer experience is actually the greatest untapped source to decrease costs and increase revenue for most businesses. He has a slide in his presentation that states nearly 100% of the S&P 500 Market Cap was in tangible assets. Today this is less than 50% and 30% come from customers. He uses Airbnb as an example. Airbnb has hardly any tangible assets. They don’t even own any of the properties they have on their platform. The value they create is purely based on their customers. Don provides examples of how sales staff prefers one sport shoes brand A over brand B. The reason for this is simple. The brand A shoes are delivered to the stores with the laces already in place. This saves enormous times, specifically when the shop is very busy and you want customers to try the shoes on as quickly as possible. The brand with the pre-laced shoes had correctly understood that a small increase in effort (and cost) at their end, the sales staff and ultimately the customer has a smoother experience during the critical phase of the purchase process, the moment you try them on. This resulted in better sales for brand A. 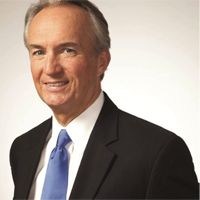 Don strongly believes that the focus of businesses needs to shift. It once was about how many customers you would reach. Today it is about how many customers needs you have satisfied. A great CX covers all 3. It delivers something you need in an easy and enjoyable way. The best experience is actually no experience. You go almost immediately from a wish to fulfil a need to the fulfilment itself. A good experience should be totally frictionless. This is in his opinion also the best way to loyal customers. A business should focus on removing obstacles. Don has an interesting point of view on why trust is so important for any business. If you trust a brand to the extreme for doing things well, this will keep customers loyal and they will spend more on your products and services. He says that the basis for this trust is based on, doing things right, doing the right things and doing these both pro-actively. We asked Don’s opinion about how the advertising agency model today is changing. What is the importance of creativity and strategic planning, specifically now that technology is increasingly important in the delivery of marketing messages and campaigns? Should technology not be a major part of any agency model? Don comes forward with an interesting answer. First and foremost he says that creativity is hard to sell. How do you even price it? It is also the least automatable part of any agency and very hard to well. He says that creativity is very useful and even required when you try to establish disruptive innovation. This is different from incremental innovation. For incremental innovation creativity is less important and it can be supported by technology. The technology focus should be on how to deliver a message efficiently and in a personalised way. He says that agencies should see their role against that background and should focus on disruptive campaigns if they want to position themselves as creative masters. But when a client demands incremental changes in their brand or production positioning only, they are better off by focusing on technology. SAP bought Hybris in 2013 and positioned the solution as a clear step into omni-channel commerce. Don Peppers is frequently hired by SAP to speak about the importance of a great customer experience for both e-commerce and physical retail. He says that in today’s commerce environment businesses move from competition on pricing towards a competition on customer experience. The slides that Don Peppers presented at the SAP Hybris event in Singapore are available on SlideShare.